Developed by Abyssal Arts, City of the Shroud combines tactical RPGs, fighting games, and story driven games. The story of each chapter is written on the fly based off the user's decisions. Only when all the chapters are completed is the story set in stone. The combat in this weird turn-based looking, but real time system. The player picks their combos by moving the mouse around the Combo Wheel. You don't need to worry about memorizing complicated combos, as the wheel tells you what they are. It actually all works rather well. 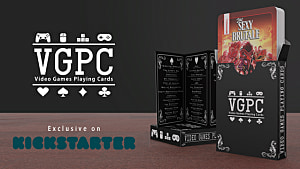 City of the Shroud was kickstarted to the tune of $16,000 during May, and hit that mark in only 9 days! If you want to read more, head over to Abyssal Arts' official website. Developed by Out Of Bounds, Laser Disco Defenders (LDD) is a twin-stick bullet hell shooter, where the more you shoot the harder it gets. Bullets don't stop when they hit walls, they bounce...forever. If that sounds like it will get crazy very quickly, then you may need to re-think how to play it -- it's a far slower paced and more methodical bullet hell shooter. There's a very interesting risk/reward system which is built right into the core gameplay. If you shoot more, it will become harder to move through the level. Instead you will kill more enemies quicker by firing less bullets -- boss battles being the exception. While the idea of bouncing bullets isn't new, they usually only bounce 2 - 3 times, so allowing bullets to seemingly bounce indefinitely can result in you killing yourself more than anything else. LDD is out now on PS Vita, but will be coming to Steam on September 29th. The Fall Part 1 released a good few years ago in 2014. 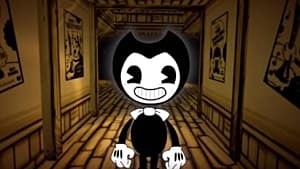 In my review of the game I spoke about how compelling the characters were, and how solving the puzzles felt challenging (but for the most part) not too obscure. The Fall Part 2: Unbound felt very similar with my time with it. But with far more colors in the world, and a One Finger Death Punch left/right attack system has also been added alongside the standard combat -- this will help break the game up and allow for far more tense action moments between the slow methodical puzzle solving. The Fall Part 2: Unbound is developed by Over The Moon Games, and is releasing for Xbox One, PS4, and PCs for a projected early 2017. Black The Fall, developed by Sand Sailor Studios, is a side scrolling puzzler set in Romania during the collapse of the USSR (Soviet Union). You play as a worker, called Black, who is escaping from their forced labor camp. The setting and atmosphere reminds me of Playdead's Inside for all the right reasons. While the game isn't like Inside, it evokes the same ideas of an oppressive dystopia. But Black The Fall also deals a lot with sound and shadow. One section of the demo I played was pitch black, and you made your way through it simply by listening to the steam from vents -- this is only possible as the sound design is so well done. Black The Fall is due out in 2017. Sigtrap Games released Sublevel Zero in October of 2015 for PC, but it's now coming to PS4, and Xbox One with Redux added to the title. 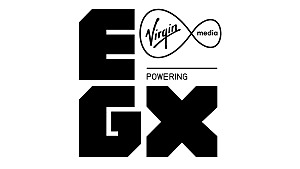 It's tagged as a 6 degrees of freedom roguelike first person shooter and has random generation of the levels too. Even with many buzzwords to get intrigued about, the game actually feels very different due to you being in a ship and not running around. The combat is fully three dimensional -- hence 6 degrees of freedom -- and interesting to play. The pixelated graphics are simple looking, but also allow for a lot of detail. The most striking thing about the game is the punchy sound of the guns -- boy do they feel powerful! 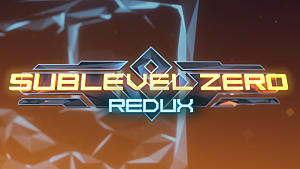 Sublevel Zero Redux is coming to PS4 and Xbox One soon. While playing FS2 by Mode 7 Games, I realized how bad at some games I am. While the simultaneous turn-based nature, in which each player plans their move and then executes at the same time, mitigates a lot of the issues I have with turn based games, I am just so damn bad! So all I will do here is let the trailer talk, and convince you that this game is worth picking up when it releases nearer the end of 2016. But suffice it to say that civilian protection -- wherein you can't control the civilians and they don't move -- is rather fun, no matter how bad you are at it. FS2 releases for PC in 2017. Developed by a two-man team, SMAC Games, Tokyo 42 is inspired by the likes of Syndicate and GTA1. Set in a future sort of Tokyo, you are a gun for hire... so you do gun-for-hire things and ensure that people are no longer breathing. But seeing as this is the future, no one really dies. Everyone is full of nanobots, which bring them back to life. 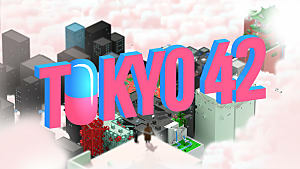 Gameplay wise, Tokyo 42 is an isometric shooter (with katanas...because katanas). It boasts a breathtaking art style which is so simple but also so detailed it caught my eye and then some. As for actually playing, it's pretty simple -- even though everything kills you in 1 hit. Tokyo 42 will hopefully release in the first half of 2017, but that may be pushed back. 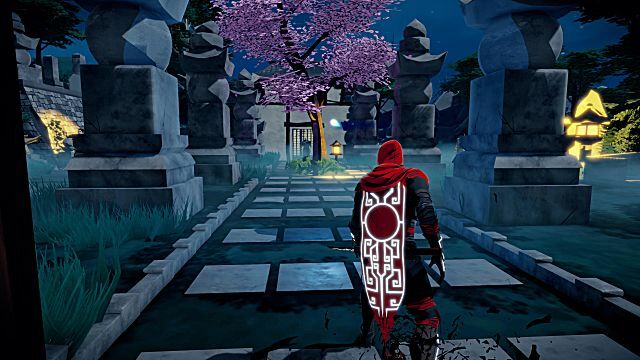 Developed by Lince Works, Aragami is a pure stealth game. So pure that all your undead assassins' powers are based on shadow, and being in light drains your power. While playing it I couldn't but help think of the Splinter Cell games, mixed with a bit of Dishonored. It's heavy in terms of the stealth focus -- where going into combat means you are screwed. But then you also have a few awesome mystical powers which make you feel lethal. It's amazing how you can feel so powerful in stealth, while actually being really weak. As for the aesthetic, the game is very comic book inspired, with cell shading and minimal texturing, but it just works and makes the game look amazing in motion, and out. That's all helped by the fluid animations, and everything from how the character runs all fits perfectly with what they are -- a literal shadow ninja. Aragami is due out October 4th for PC and PS4. Developed by ZRZ Studio, for iOS and Android, this game has you control little blobs called Inops. You move them by tilting the phone, or tablet. There are also interactables in the levels you can move with a finger, like cogs to raise/lower platforms, or fans. The aim of the game is much like other mobile games -- collect at least 2 stars out of 3 in the level to progress, but also collect as many Inops as you can along the way. You can merge and split all the Inops to form a large Inop, or have a river of smaller Inops. Aesthetically Inops shares some things with Limbo, but that's just to give a quick idea of what it looks like, as it takes inspiration from so many different games it's hard to pinpoint just one. The puzzles get pretty tough pretty quickly, and maybe a smoother transition through the difficulties could be something for ZRZ Studio to think about. I also found that on the tablets on the show floor, it was sometimes hard to reach interactables and keep the tablet straight, but that's more a me problem than a game issue. Inops looks like it's ZRZ's most ambitious game yet, and while the 3 man team has no idea when it will be ready, it could be the first game they charge for. From what I've seen of the game, it would be worth a slightly higher price for a mobile game...about $3/£2. And it's one of the few mobile games which caught my eye. 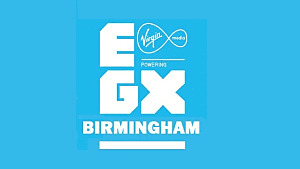 That's everything from EGX 2016 on Day 1, but make sure you check out all the other EGX 2016 coverage from both me, and Emma Spalding.